Thousands of City Dwellers Join Walk to Raise Money for Cold Spells’ Victims. Sai Gon Giai Phong Newspaper and Sai Gon Beer, Alcohol and Beverage Corp. organized a fundraising walk on Saturday in HCMC to help those who have been hit by damaging freezing, cold temperatures in northern provinces. 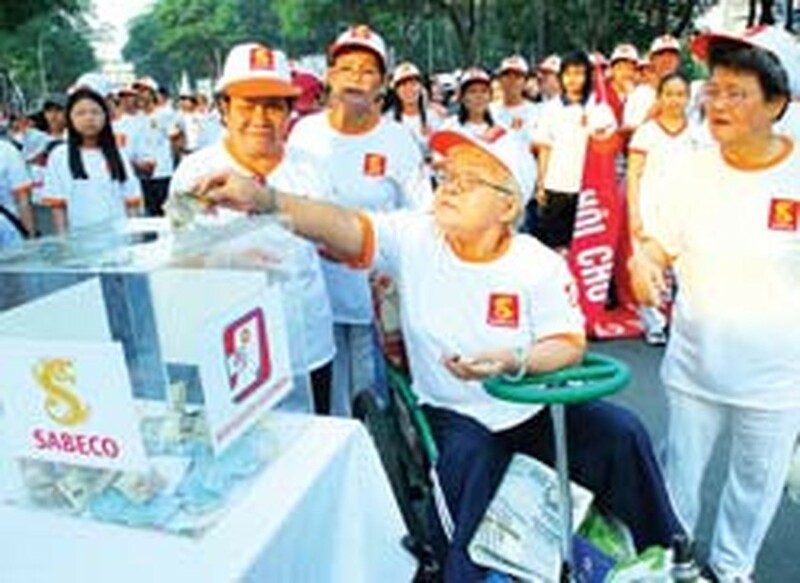 Ms. Nguyen Thi Thu Ha, Deputy Chairwoman of the HCMC People’s Committee, joined the walk. In her speech, Ms. Ha on behalf of the city’s leaders expressed their heartfelt gratitude to participants who sympathized with the difficult situations of victims and were ready to share their losses. She also commended the newspaper and the corporation, aka Sabeco, for their collaboration in organizing the event, particularly as it was on the occasion Sabeco was bestowed the title of “Hero of Labor” to honor the enterprise’s achievements in the reform period. Taking part in the collective walk were over 5,000 participants including employees of the HCMC Red Cross, athletes, members of the Youth Communist League, pupils, students and the city’s residents. The total amount of the money raised by Sabeco, other enterprises, donors and city residents at the end of the walk was about VND303.5 million, of which, VND203.5 million was handed over to the newspaper's Social and Charitable Fund. The remaining VND100 million was given to the HCMC Red Cross fund to facilitate the giving of the donation to the recipients in a prompt time frame. 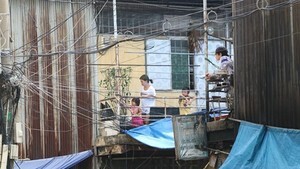 The Ho Chi Minh City government has given approval to a local property developer to build technical infrastructure on three land lots covering 38.4 hectares for resettlement of residents in the Thu Thiem New Urban Area in District 2’s Binh Khanh Ward.